Kickoff • Saturday, 2 p.m.
About the Rebels • After starting the season 2-2, they took a big step back with last week’s 50-14 home loss to unheralded New Mexico. ... Their two victories came against woeful UTEP and Prairie View A&M. ... UNLV has been decent enough offensively, averaging nearly 31 points per game, but the defense has been terrible, surrendering more than 32 points and 413 yards per game — including 195 per contest on the ground. ... Coach Tony Sanchez is 14-27 in his fourth season at UNLV. About the Aggies • They have won four straight since a season-opening loss at Michigan State, and are coming off a convincing 45-20 win over BYU in Provo. ... 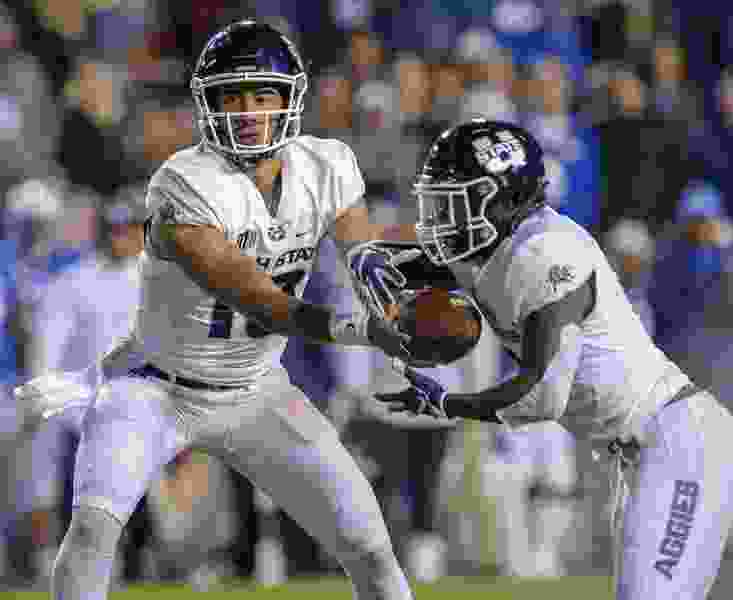 In those four wins, Utah State is averaging 55.0 points and 482.5 yards per game (246.0 passing, 236.5 rushing), while converting 44.4 percent of its third downs (21-48). ... Leading the offensive charge is QB Jordan Love, who has thrown for 1,235 yards (247.0 ypg) with nine touchdowns and three interceptions. His favorite target is senior WR Ron’quavion Tarver, who has 25 receptions for 246 yards (9.8 ypr/49.2 ypg) with two touchdowns.